Family members, councilors, and clinicians who suspect or are involved in some way with individuals exhibiting signs of eating-disorders need to be aware that these sites not only exist, but are easy to access and can reinforce the very eating patterns that they are trying to help patients change. If you see any of the signs (listed below) for anorexia or bulimia, or have reason to suspect that someone in your care is struggling with eating issues, seek professional help. You may want to look at their web history to see if they are visiting pro-ana or pro-mia sites, or other sites that focus heavily on dieting, but keep in mind that they may be adept at hiding this information from you. In addition to specific ana- and mia- sites, check out the videos they’re looking at on YouTube, there are thousands of videos designed to provide thinspiration, tips and tricks, for those with eating disorders, as well as many videos providing quality educational material about these disorders. (See Short list of quality educational videos about eating disorders below for more information). Pay attention to the music anyone you suspect of having an eating disorder is listening to, as well as the ringtones they’re using. Below is a list of 30 of the most popular songs about eating disorders – and there are unquestionably more. Can You “Catch” an Eating Disorder Online? Short list of quality educational videos about eating disorders. 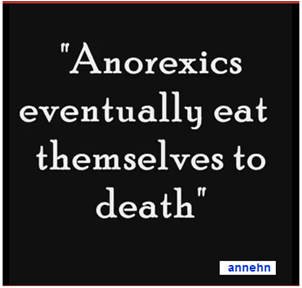 Sadly, there are also thousands of videos promoting eating disorders listed under ‘thinspiration, pro-ana, pro-mia, and other key phrases. Music about, or promoting, eating disorders. The links below are to the lyrics of 30 of the most popular songs in this genre at the time of this writing. Note that eating disorders are mainstream within the youth music culture – though nearly absent from adult/youth discussions. In addition to these lyrics sites, most of these songs have music videos posted on sites like YouTube. Virtually all of the lyrics sites provide users the ability to purchase songs as ringtones, (it’s a key revenue stream for them) so it is important to not only be aware of the music they listen to, but also the ringtones they use. As the country faces an obesity epidemic, and the media and fashion industries idealize size 0’s, we have created a perfect storm for youth. 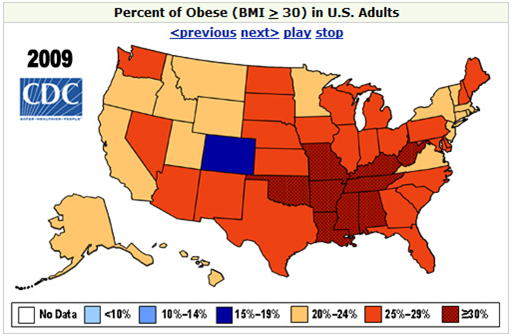 The very fear of obesity is driving youth into eating disorders as evidenced by some of the statistics in the first segment of this series. Instill a healthy self image in young women and young men. This is the responsibility of every adult youth come into contact with. There needs to be a conscious alternative to the tremendous pressure youth feel from the media and fashion industries to be thin. Be informed about symptoms and be aware of the heightened risk of eating disorders among depressed youth. Get involved and volunteer or donate through an organization like ANAD, the National Association of anorexia nervosa and associated disorders. Speak up. While much focus has been placed on online safety topics like online conduct, stranger contact, cyberbullying, and sexting, far too little awareness is focused on other internet-facilitated high-risk cultures. The research by Johns Hopkins and the Stanford University School of Medicine that compelled me to write this blog, combined with the other sources cited here, are vital resources for parents, internet safety advocates, and educators. More energy needs to be focused on a broader spectrum of online risks. Several countries, magazines, and fashion shows have banned the use of models who are too thin. You have the opportunity to influence this trend through your protests – and extend the bans to the TV and movie industries as well. This entry was posted on Monday, August 9th, 2010 at 11:05 am and is filed under Linda's Blog. You can follow any responses to this entry through the RSS 2.0 feed. Both comments and pings are currently closed.